Taken from the Russian word for “butterfly,” Babochka is an appropriate name for this boutique and tailor on Roger de Flor. Inspired by the Nordic concept of “thrift boutiques,” where new life is given to old clothes, this charming locale sees your unused shirts and skirts transformed into one-off pieces of fashion. Opened in late 2015 by Lena, Babochka is all about ethical clothing and consumption – an alternative to fast fashion. 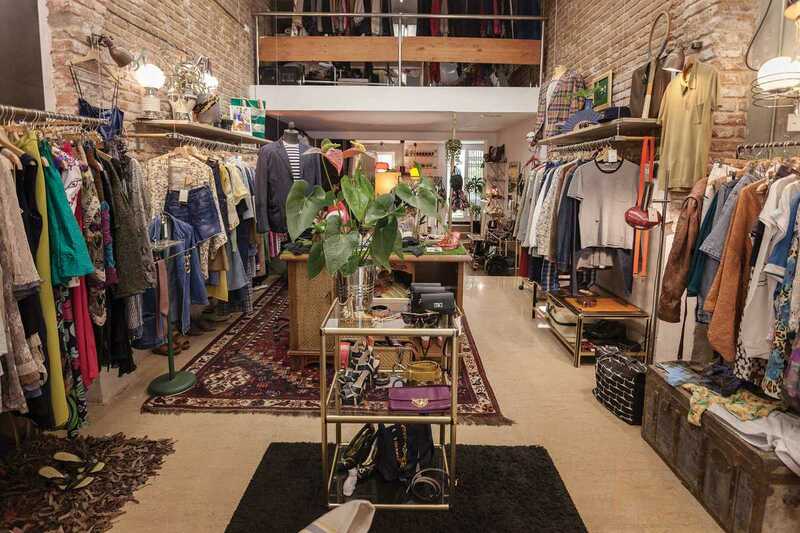 Between the exposed brick walls you’ll find a range of gems, from vintage clothing to rare items from fashion shows or shoots, plus scatterings of lamps, bowties, sunglasses and more for both men and women. Rather than thinking in seasons, the store’s collection is divided into combinations. Check out the capsule combos, suggesting day, evening or party outfits, or dig out your long-forgotten favorites and have Lena work the Babochka magic on them – the start of your own unique collection.